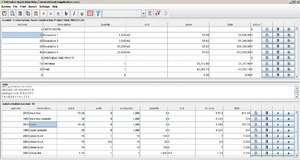 Estimator is a free program you can create estimations for constructions, print an estimation and a proposal. Main goal of this software download is to make quickly estimations of contracts with little as possible time and effort through the reuse of concepts that you have previously thought of. Version 1.99.26.57 is a freeware program which does not have restrictions and it's free so it doesn't cost anything.